LIYSF - Gemma Prunes: LIYSF is fantastic and incredible! Gemma Prunes: LIYSF is fantastic and incredible! Gemma will be working with us as staff at LIYSF. We interview her prior to the forum! Well, my name is Gemma and I’m a nineteen-years-old girl from Barcelona. I’m currently at my first year at Barcelona’s University studying Biomedicine, basically described as research in Medicine. I do love Sciences, but I strongly believe that knowing a little about everything is worthy. So I always try to take any chance on learning about literature, the media, philosophy, economics and all areas that can help me in my everyday life. I’ve played the guitar since I was 6 and I am currently teaching particular guitar classes to children under 12. However, you won’t probably see me playing the guitar in public due to my shyness, which appears only when it’s about music, luckily. You may probably listen to me saying: “Please guys, take any chance you’ll be given in life and squeeze it as much as you can”. I think it’s the point; luck is important but hard working makes the difference! Understanding how our brain works is my principal aim. I’d really like to do research in neurosciences in order to decipher the gears that make us do whatever we do in a normal way and also the mechanisms that can destroy this possibility. In my view, passion is the most important think when we talk about working, and I do have passion for research. Actually I had the opportunity to work in a laboratory all along the last two summers, making research in cancer genetics. So oncology is my second research option. What were your favourite memories of LIYSF when you participated in 2012 representing Spain? It may sound weird but one of my best memories of last year at LIYSF is, with no doubt, the first day. The simple fact of being surrounded by people from almost all the world was so intense and wonderful. Sharing the typical questions about ages, countries, studies, and staying in a sofa with an American guy, a Chinese and a Romanian girls was an experience I had never had before. But, I have to admit that parties are also part of my best memories. We had real fun dancing all together, each of us in a different way but with the same rhythm. And, of course, the funniest conferences of the forum: bubbles and light. They tried to show us that even if we don’t notice it, Science takes part in our everyday life. We all know this topic about first times being special and unforgettable. 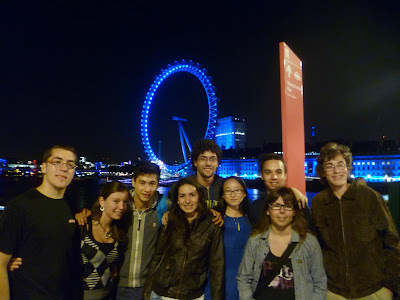 I strongly believe that my second time at LIYSF is going to be, at least, as fantastic and incredible as the first one. Even if the circumstances are completely different, my desire and excitement are exactly the same. I’ll have to work hard, for sure, but as far as it’ll be compensate by loads of special moments with exceptional people from all over the world I don’t really mind about the fatigue and the stress.